Apple Polishes Its Fashion Credentials. Fashion and technology may not be so different after all, if one looks at the hiring strategy from iPhone maker Apple. In its latest move, the California tech giant hired Burberry's top executive Angela Ahrendts on Tuesday to become head of retail. Fashion and technology may not be so different after all, if one looks at the hiring strategy from iPhone maker Apple. In its latest move, the California tech giant hired Burberry's top executive Angela Ahrendts on Tuesday to become head of retail. The appointment comes just months after Paul Deneve returned to the US gadget-maker after the Belgian national had stints with fashion houses Courreges, Nina Ricci, Lanvin and Yves Saint-Laurent. While the tech and fashion industries seem miles apart on the surface, it is not surprising to some analysts to see Apple burnishing its credentials with the kind of brand-building used by luxury goods makers. "Apple has always been a design house," said Jack Gold, president and analyst with J. Gold Associations. "They've always excelled at that. They've always had the best design in the marketplace. Not always the best technology, but the best design." Gold told AFP that the fashion industry lives on "a lot of show, impressions, name, branding" and "that's what Apple continues to excel at in the marketplace better than anyone." Trip Chowdhry at Global Equities Research said that hiring people from the luxury goods industry was a way for Apple to spark more demand. "These people make sure that every consumer that buys an Apple product feels like he got the best product in the world, that every consumer feels special," Chowdhry said. Ahrendts may give Apple the star power it has lacked since co-founder Steve Jobs died two years ago, and help counter the impression that the company is losing its edge. Jobs had been the showman for the company showman, with a flair for product launches like the iPhone and iPad. But he also broke new ground earlier in Apple's history with products like the Macintosh computer. Since Ahrendts became Burberry chief in mid-2006, the British group has doubled revenues and more than tripled its share price. Ahrendts was last year by far the highest-paid chief executive among the FTSE's 100 top companies last year, with a package totalling 16.9 million pounds ($27 million), according to a survey by pay consultancy MM&K. "She's a star, she has great vision and her underlying philosophy is the same as that of Steve Jobs," said Robin Lewis, who publishes the retail strategy newsletter The Robin Report. "Apple created one of the most exciting experience in retail... However, it's getting redundant." Lewis said Ahrendts has the qualities to be CEO at Apple, a goal she surely has in mind. Ahrendts has had abundant praise for Apple, telling The Wall Street Journal in 2010, "If I look at any company as a model, it's Apple." She called Apple is "a brilliant design company working to create a lifestyle," and used that as an inspiration at Burberry. 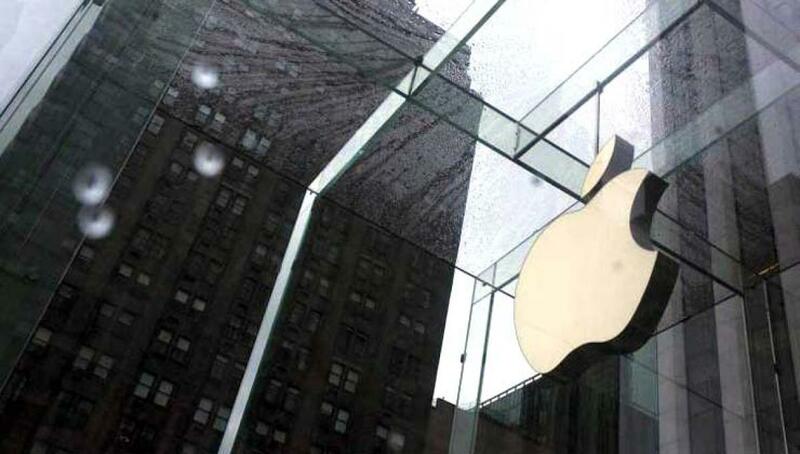 Sucharita Mulpuru, analyst at Forrester Research, said Apple is undoubtedly paying a high price to get "diva" talent and questioned what this means for Apple's strategy. One possibility is that Apple wants to be ready for a new trend of "wearable" tech, which could include items ranging from smart watches to jewellery. Gold said Apple's moves may be "an indicator of the kind of partnerships they might be looking for in the future, less technology oriented partnerships and more fashion oriented partnerships." Deneve's hiring in July for "special projects" raised speculation about Apple's involvement in wearables, which some say could include fabrics and clothing with embedded electronics. "The benefit of having fashion mavens on their payroll is that Apple would theoretically have access to fashionistas who would be critical to the adoption of any wearable device," Mulpuru said.